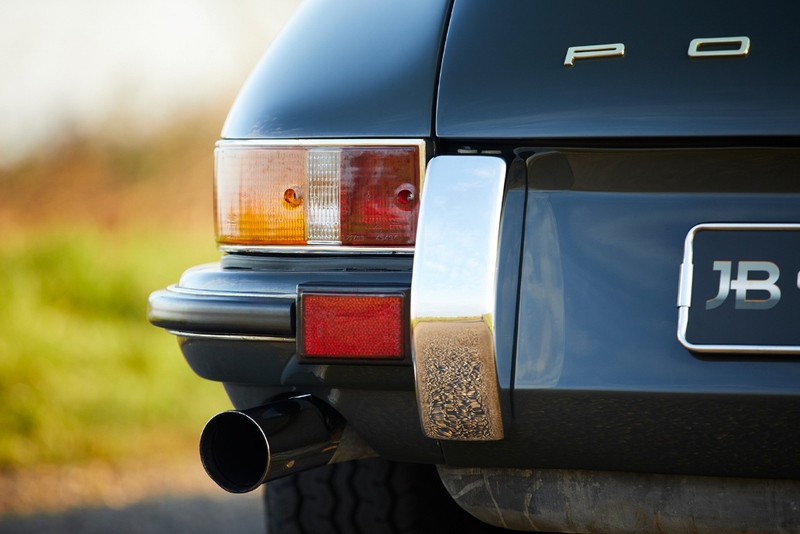 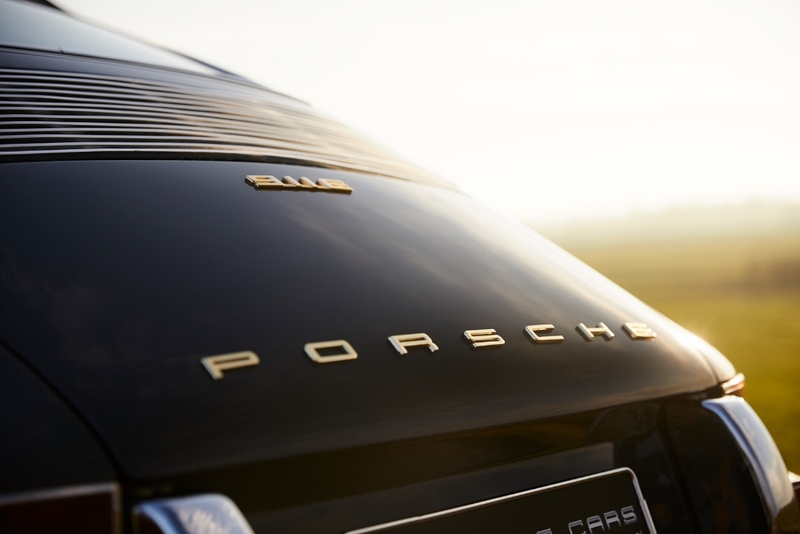 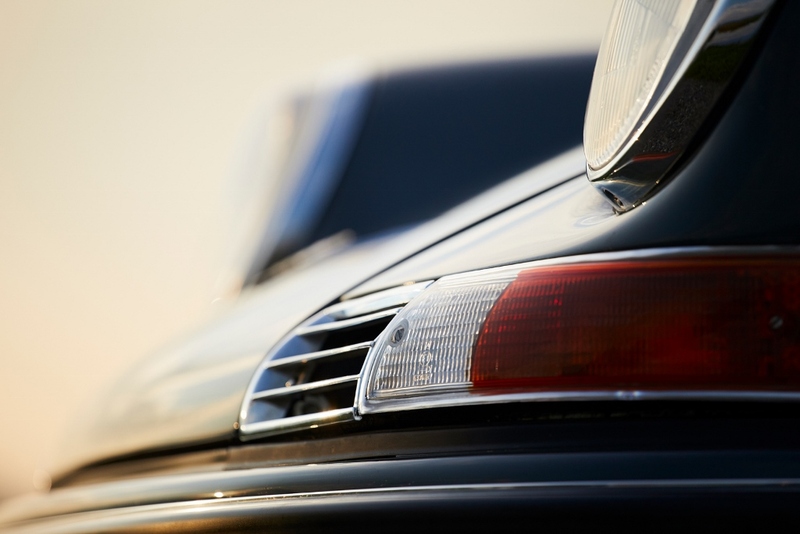 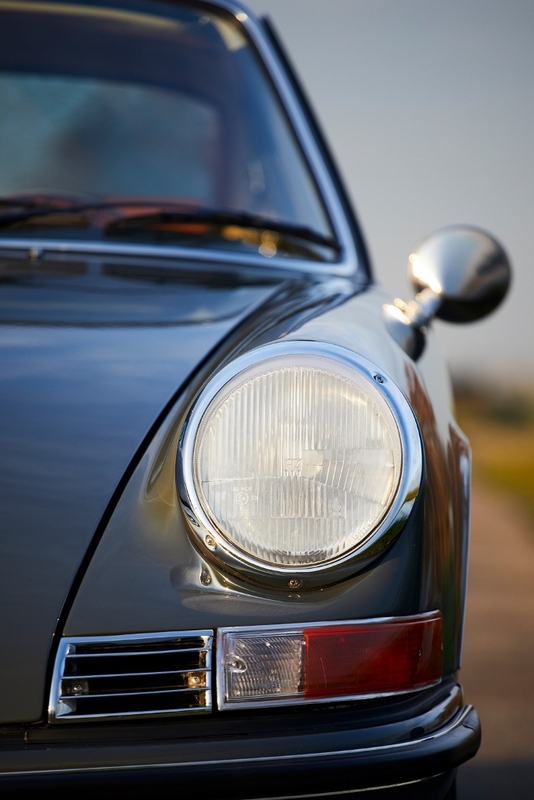 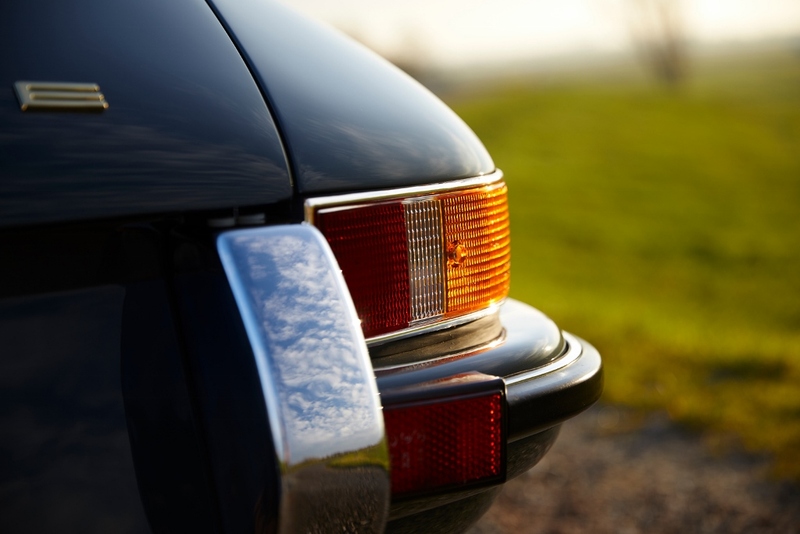 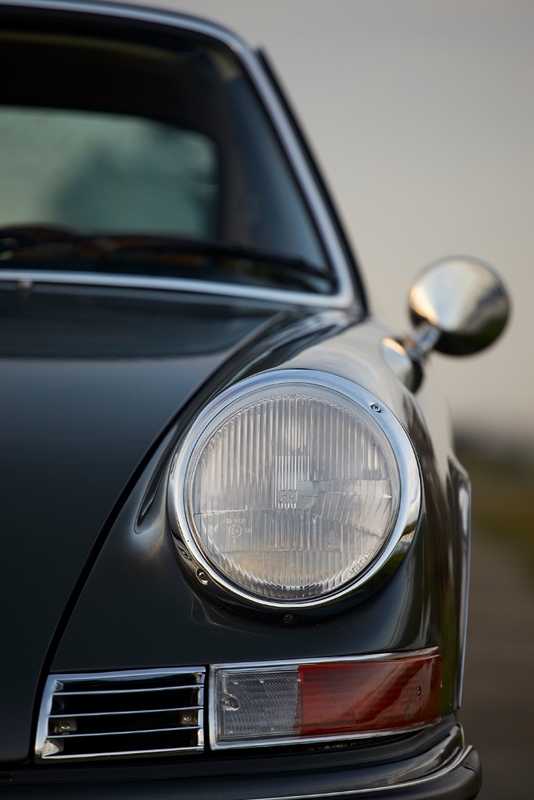 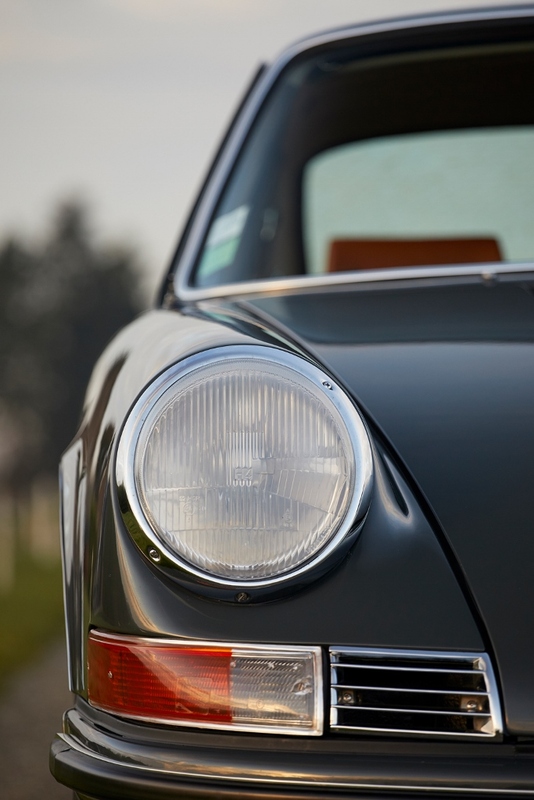 Although Porsche’s most common model is easily recognizable from a distance, each 911 shows its own characteristics when you take a closer look. 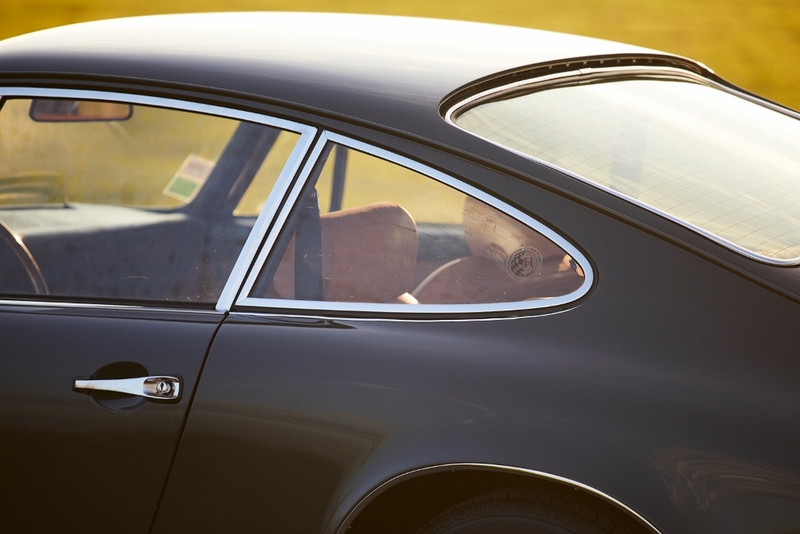 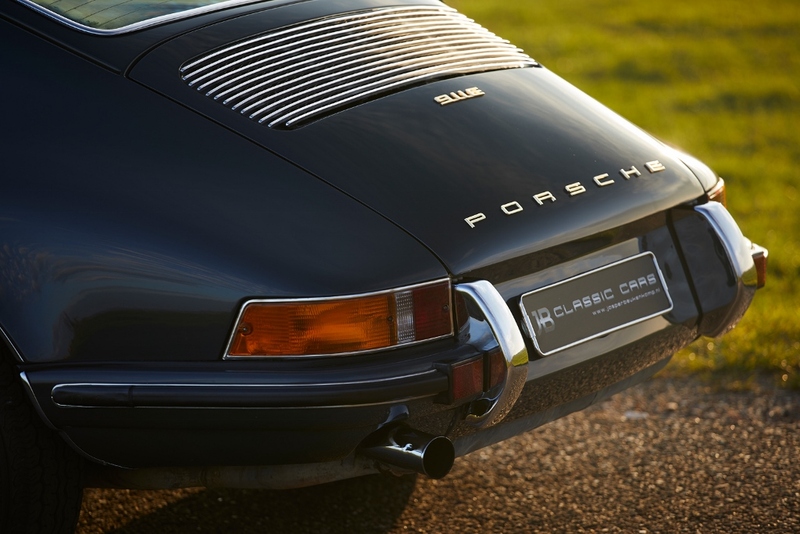 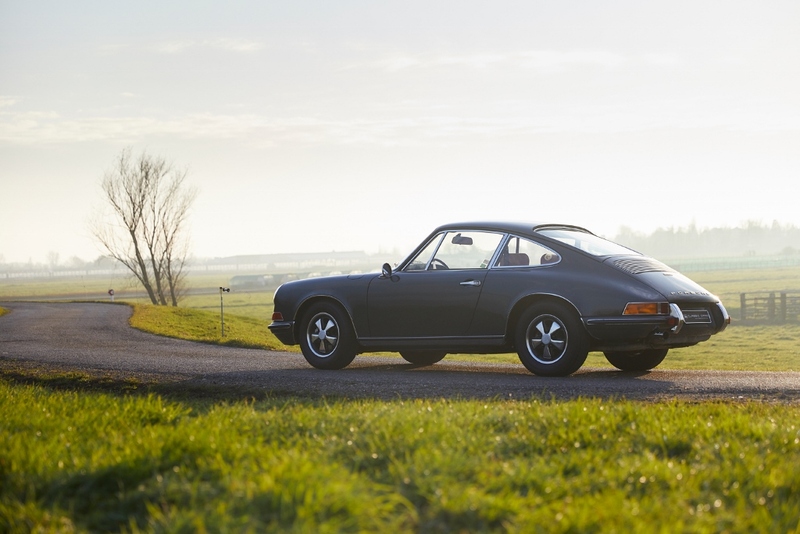 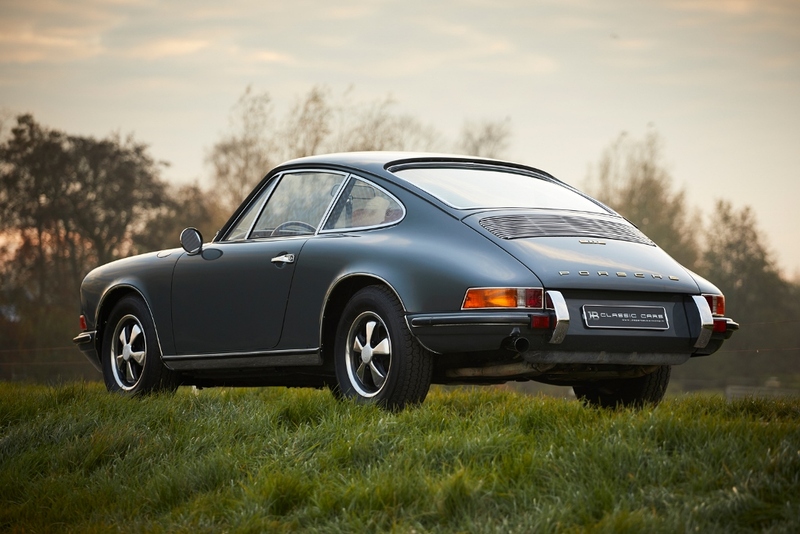 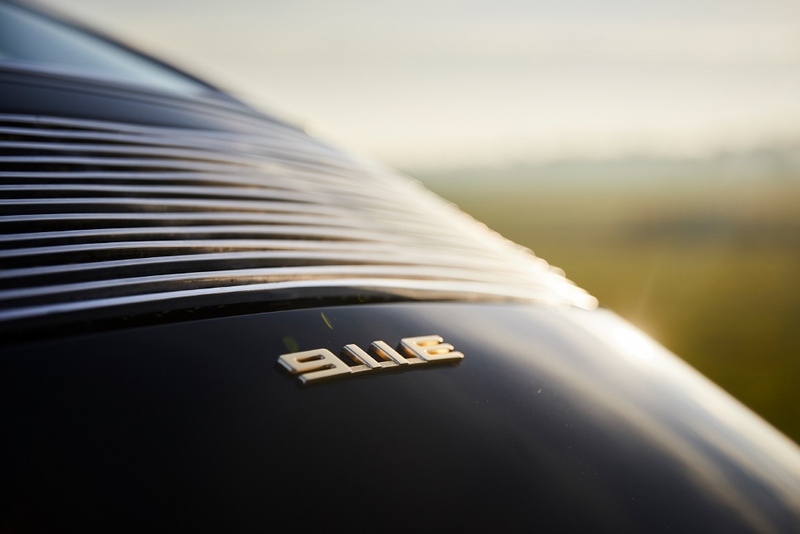 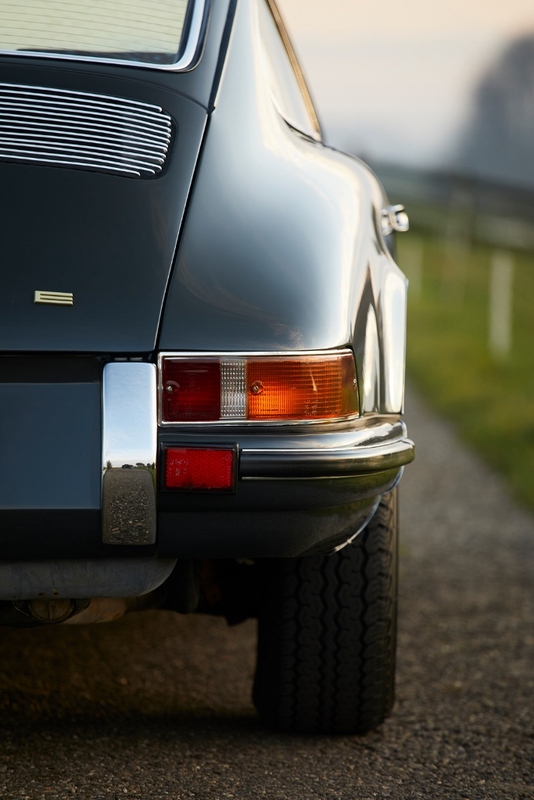 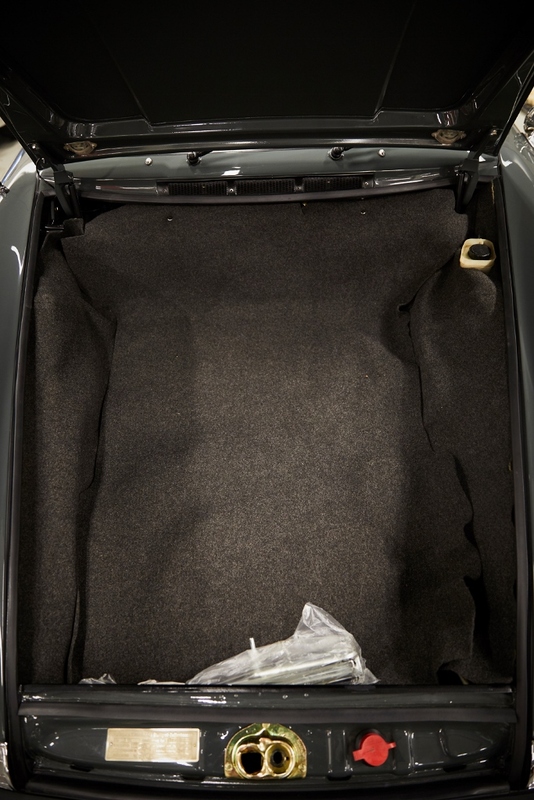 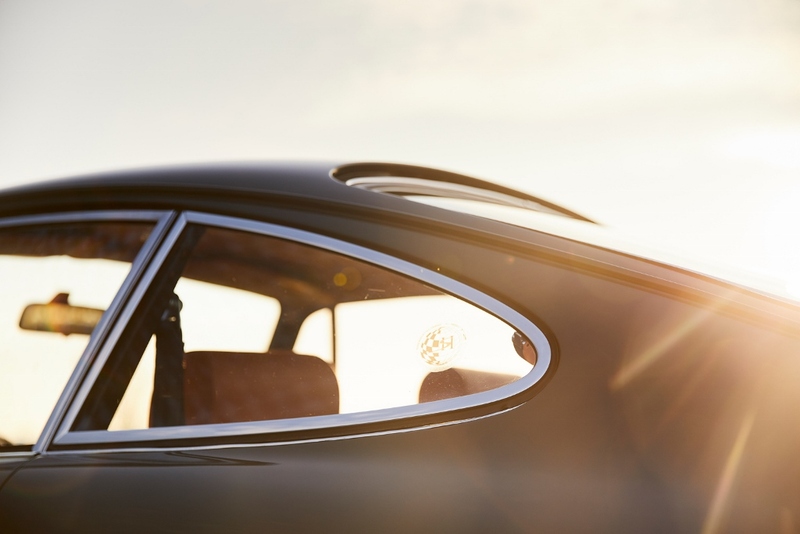 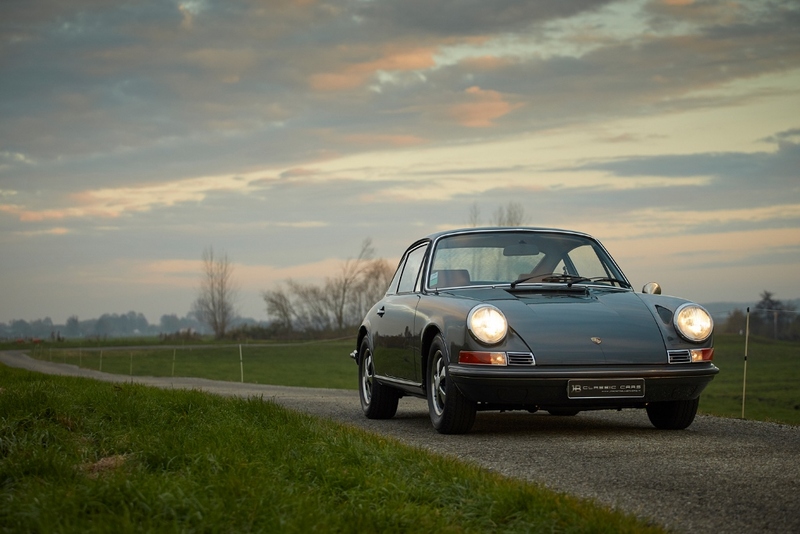 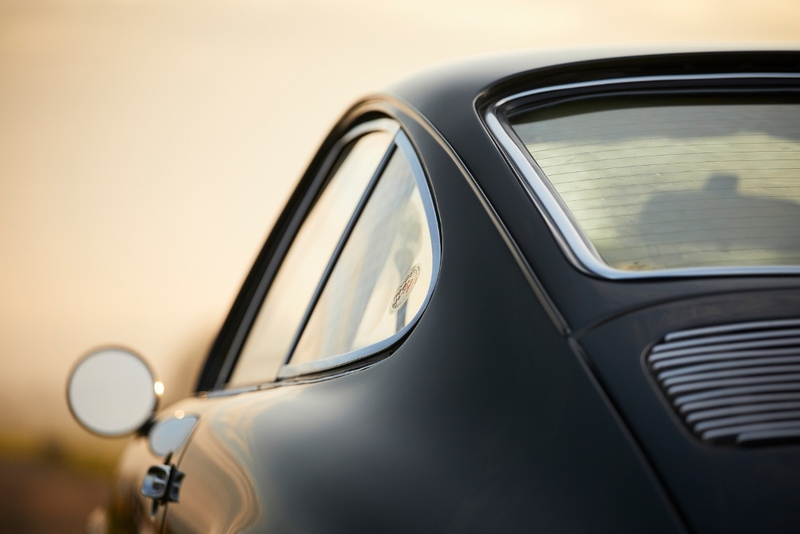 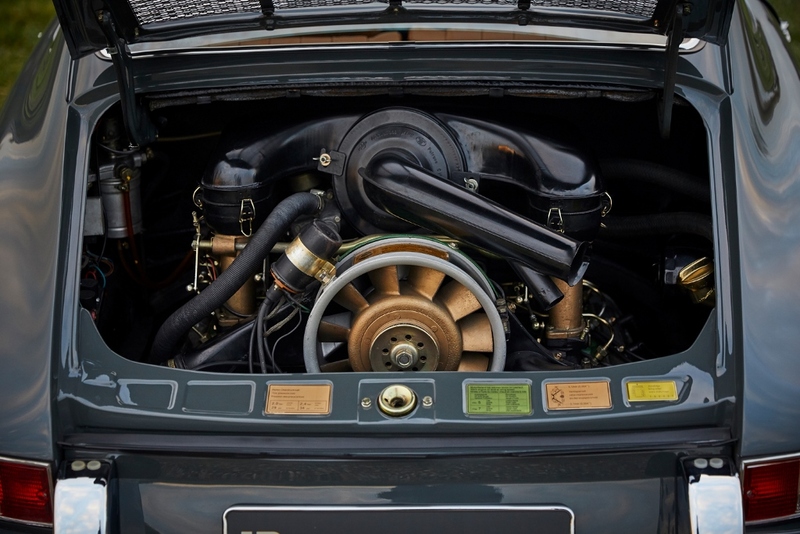 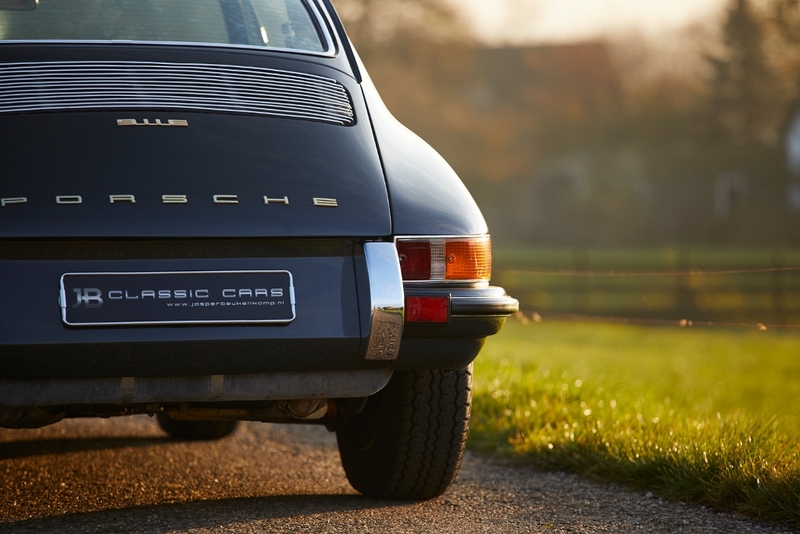 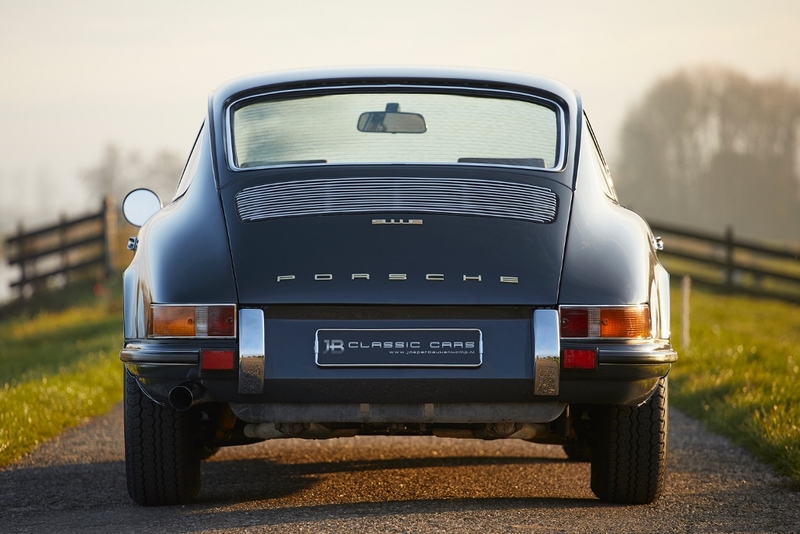 The restored slate grey 1969 Porsche 911 E you see here offers a glimpse of what’s Porsche’s version of a “GT Lusso”. 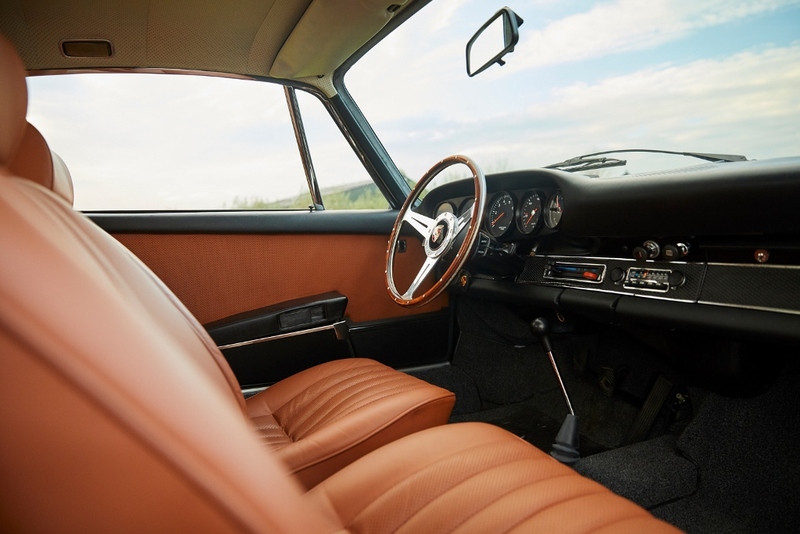 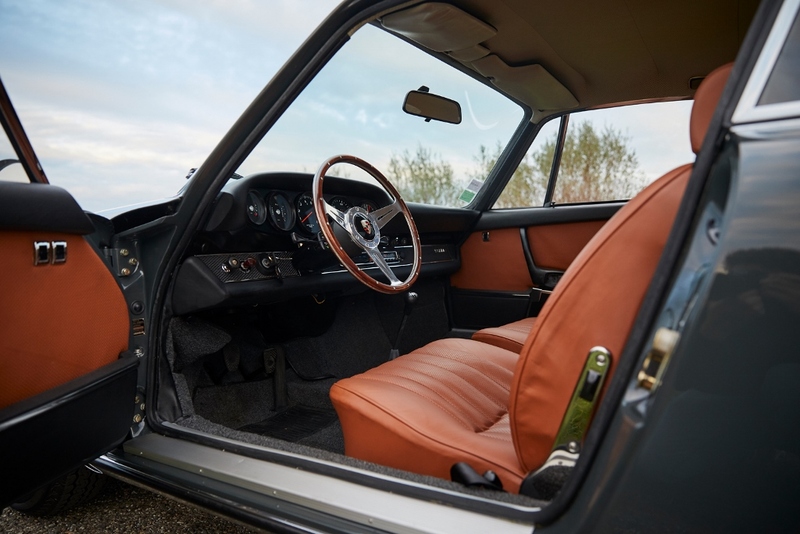 The full leather interior with a unique dark orange shade, a stylish wooden steering wheel and the pleasant drive make this a beloved sports car that can stand out against many grand tourers. 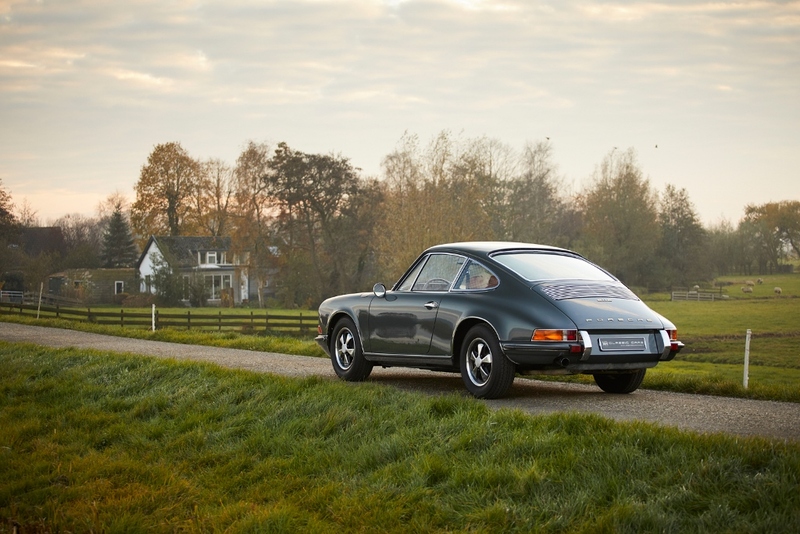 The way this 911 E drives is different than other early 911s. 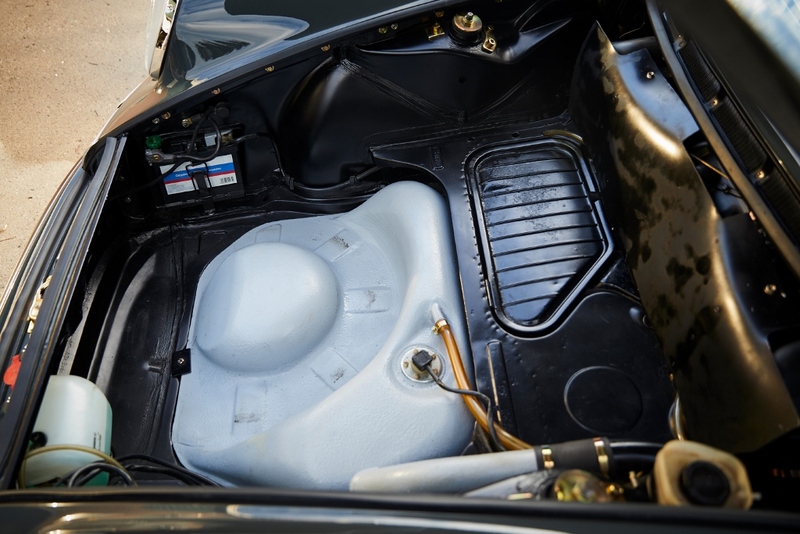 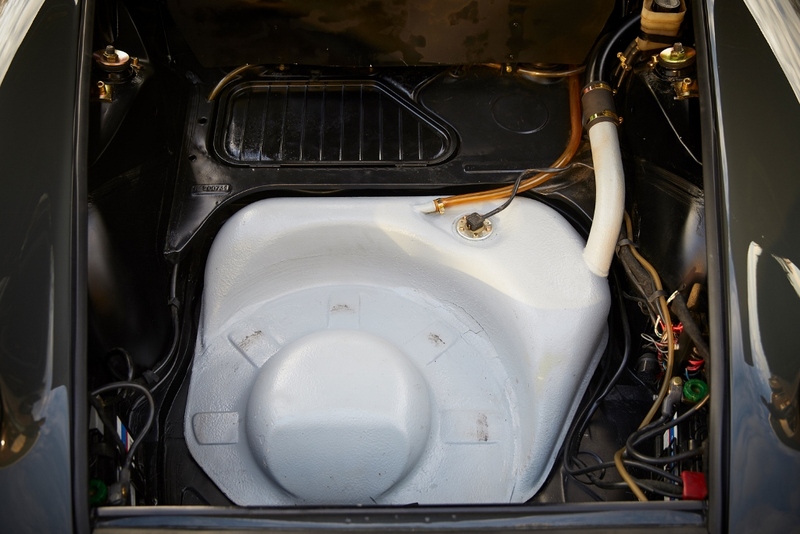 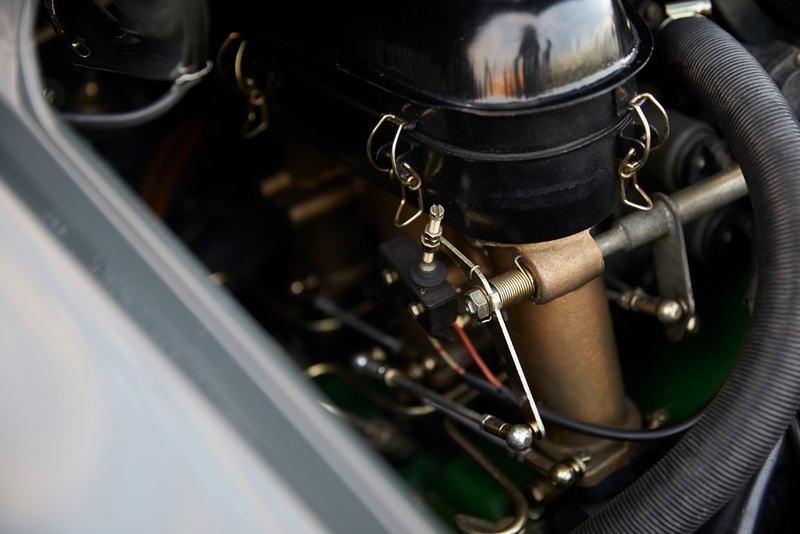 The mechanical fuel injection makes the 2 litre air-cooled flat six engine run very smoothly and it makes it easy to use. 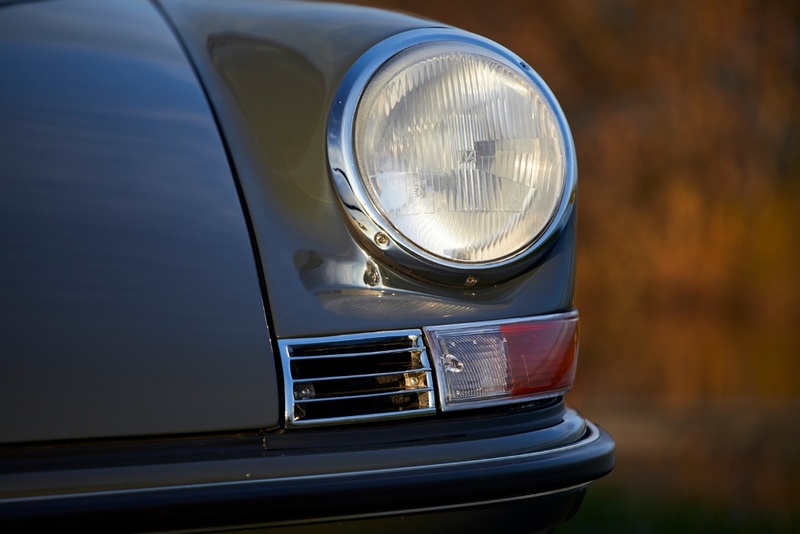 The unique self-leveling, hydropneumatic front suspension of the 911 E has been converted to Bilstein shocks with torsion bars. 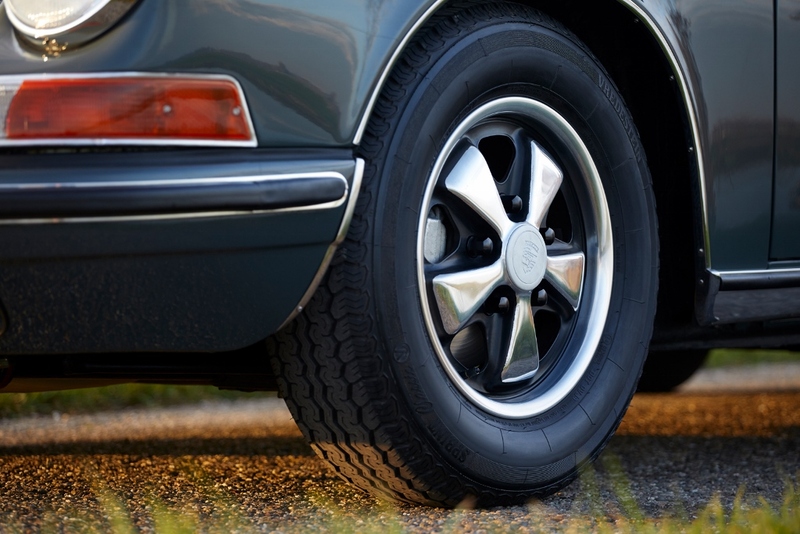 Combined with original 14 inch Fuchs wheels and high profile tires make this the perfect all-round sports car that is as comfortable and easy to drive as it is sporty. 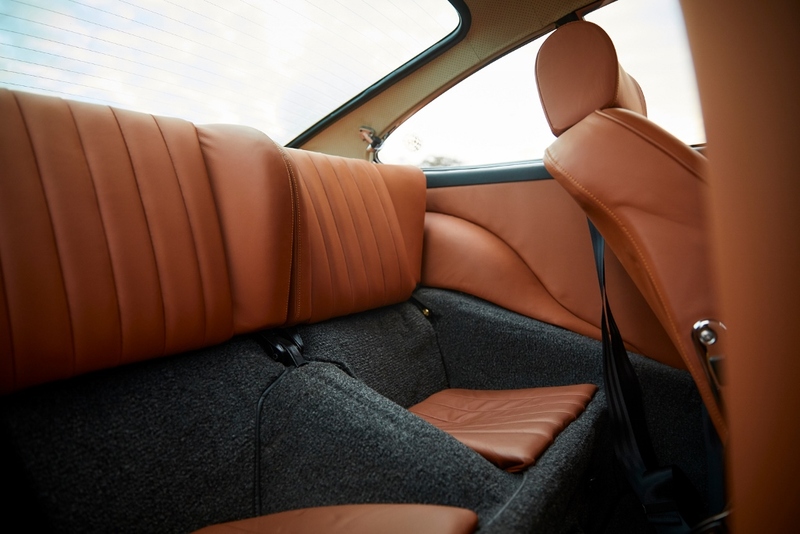 During the fine nut-and-bolt restoration the upholstery was taken to the next level. 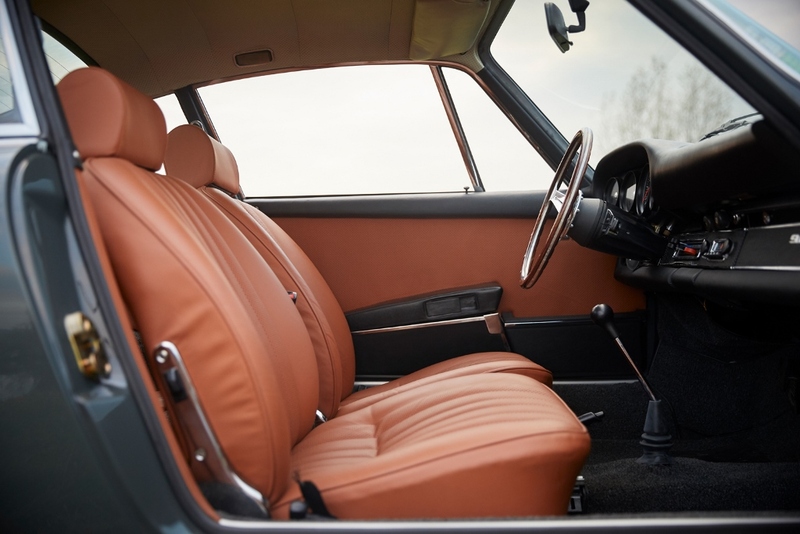 The colour can be best described as Ayers Rock Orange. 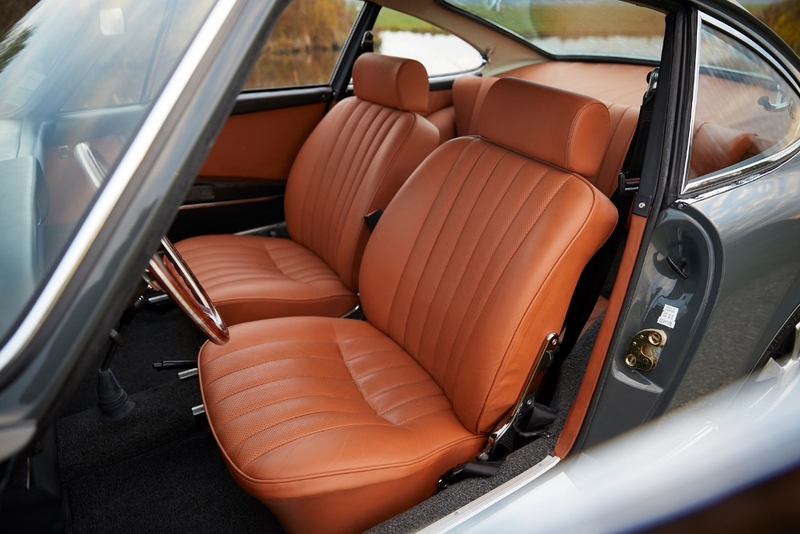 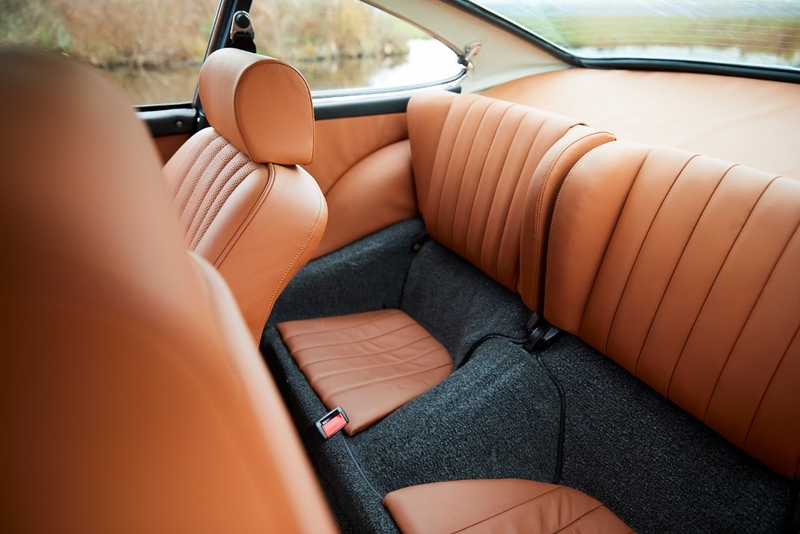 Just like the Australian landmark the leather seats and panels show spectacular colour changes from tan to dark orange and even brown when light changes. 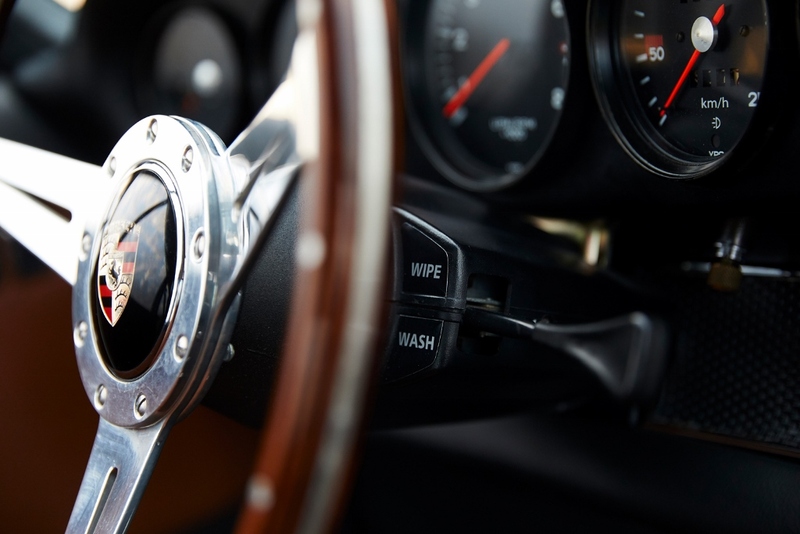 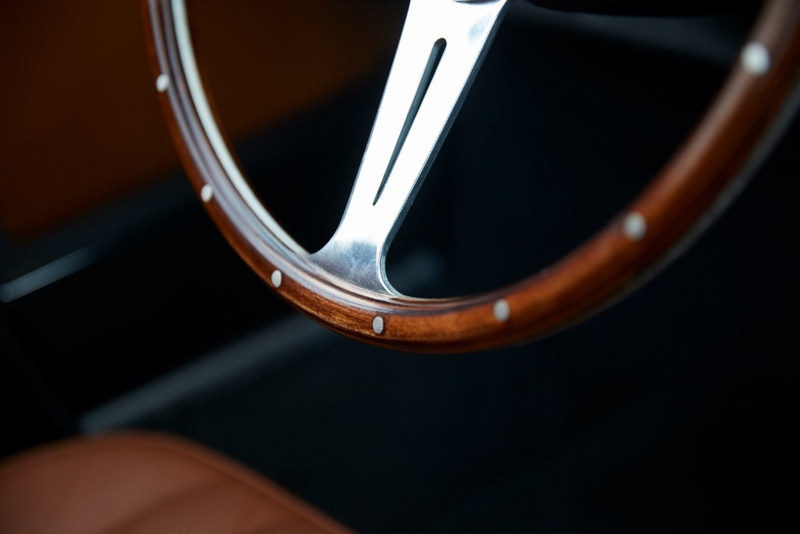 The original black four-spoke steering wheel comes with the car, but the wooden steering wheel with polished spokes adds an extra touch of luxury. 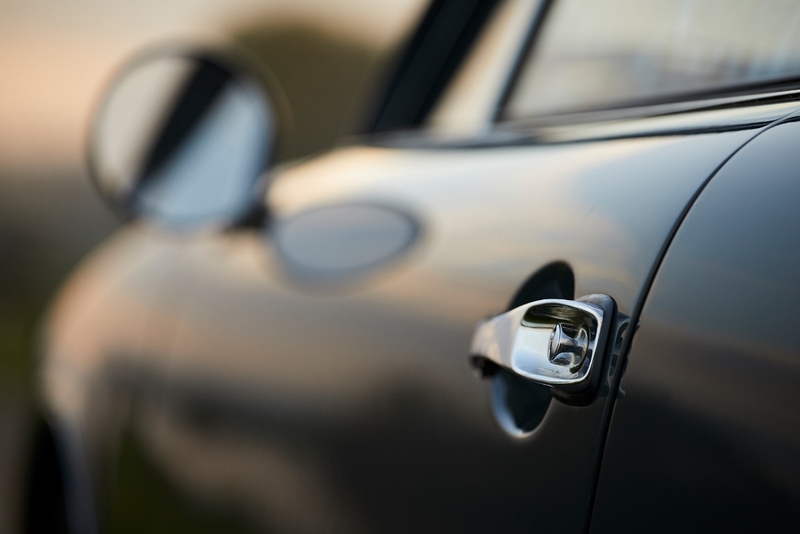 Power windows, headrests and safety belts come in handy for regular use. 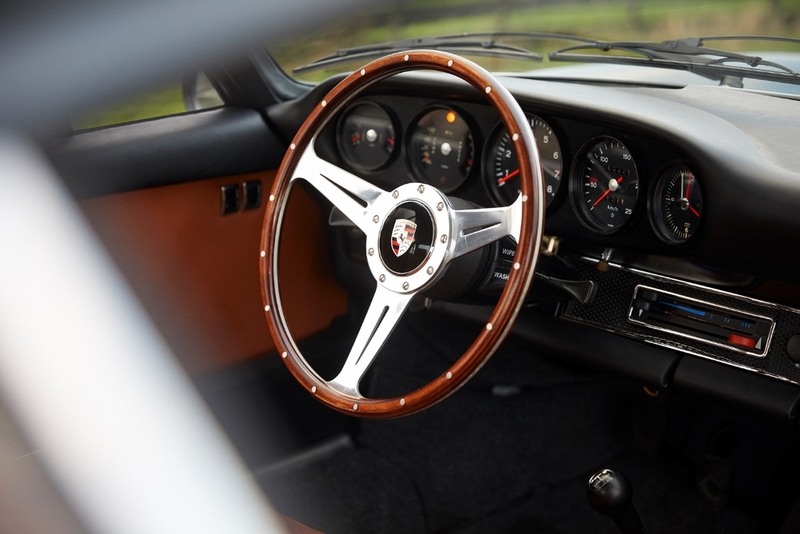 Just like the Blaupunkt Frankfurt push-button radio that completes the dashboard. 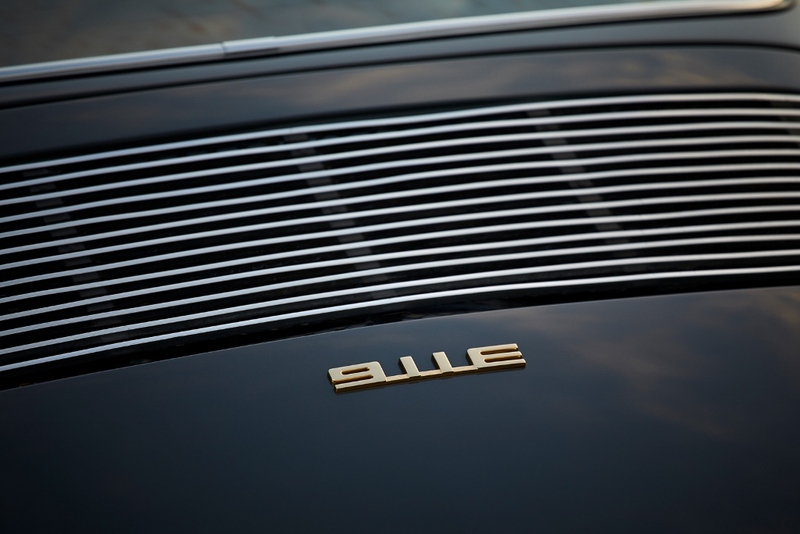 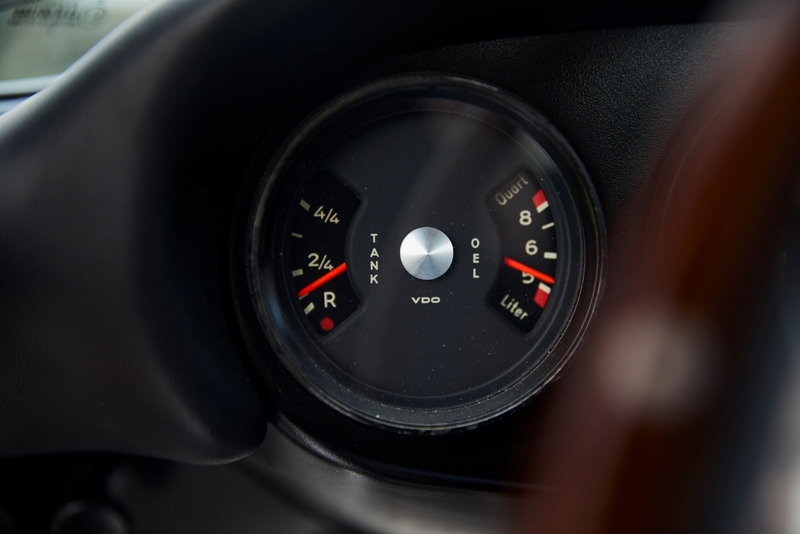 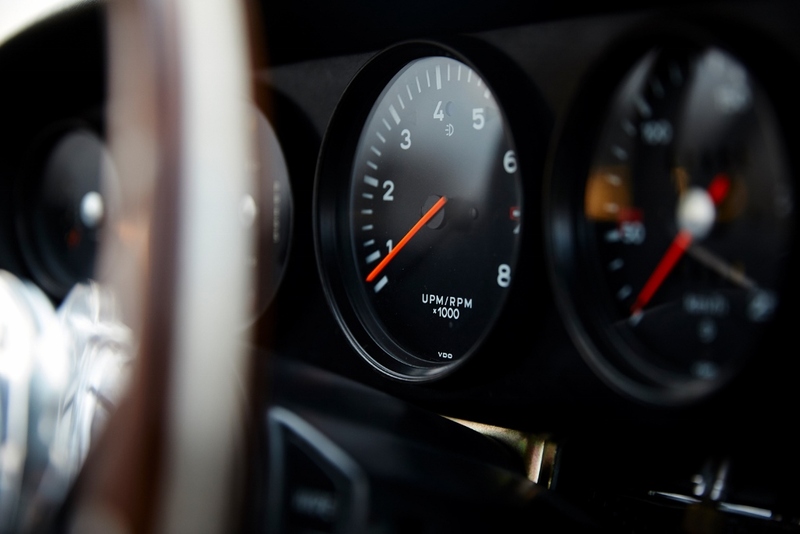 With 140 hp, plenty of low end torque, and a tacho perfectly in sight every driver will enjoy a spirited drive in the 911 E. After the engine is completely warmed-up, there’s no such thing as shifting through all five gears at any given speed. 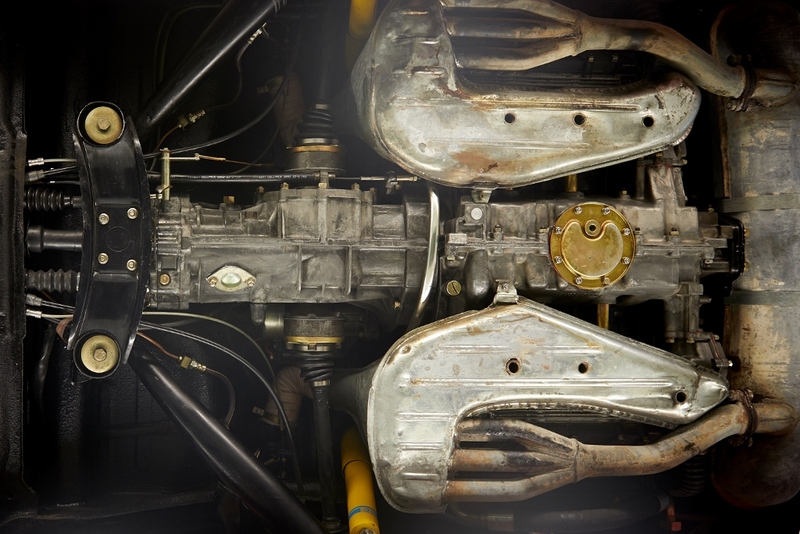 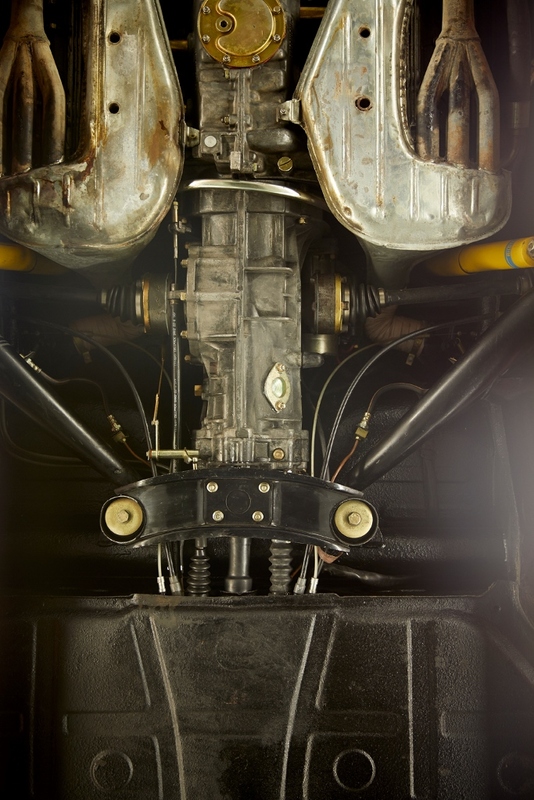 The dog-leg gearbox has a synchronized first gear, which was pretty special at the time. 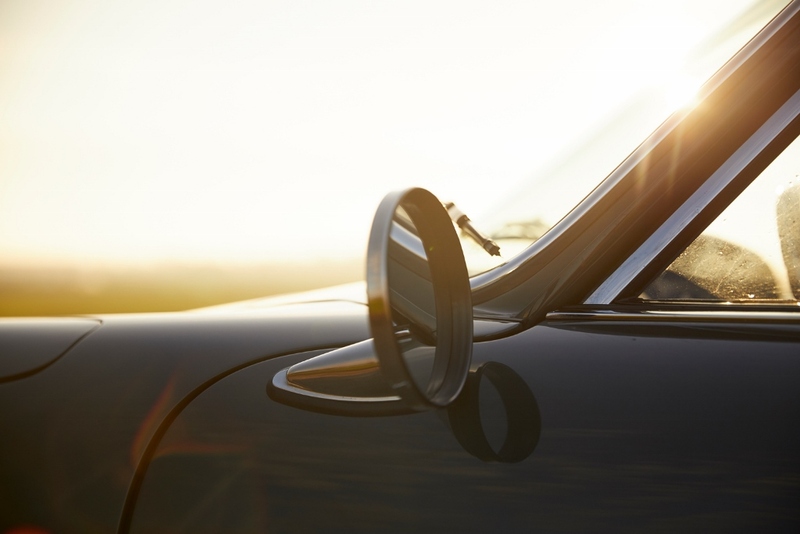 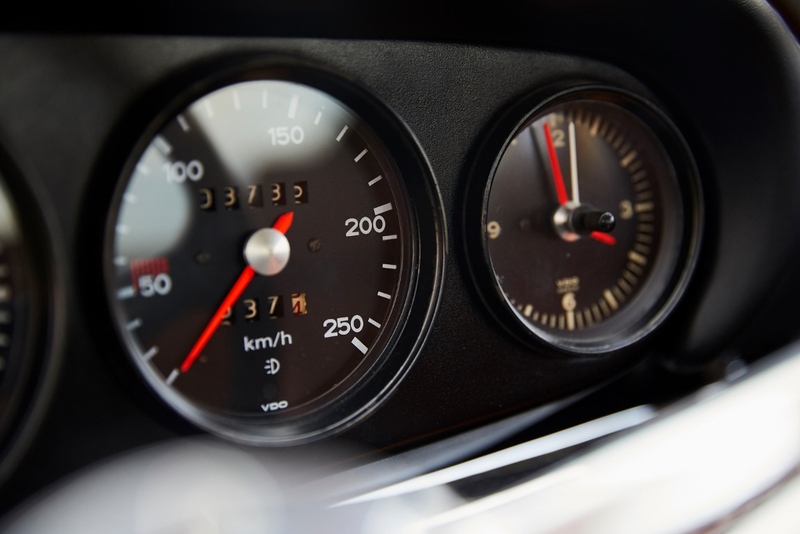 Cruising or speeding both feel great, even when roads are bumpy. 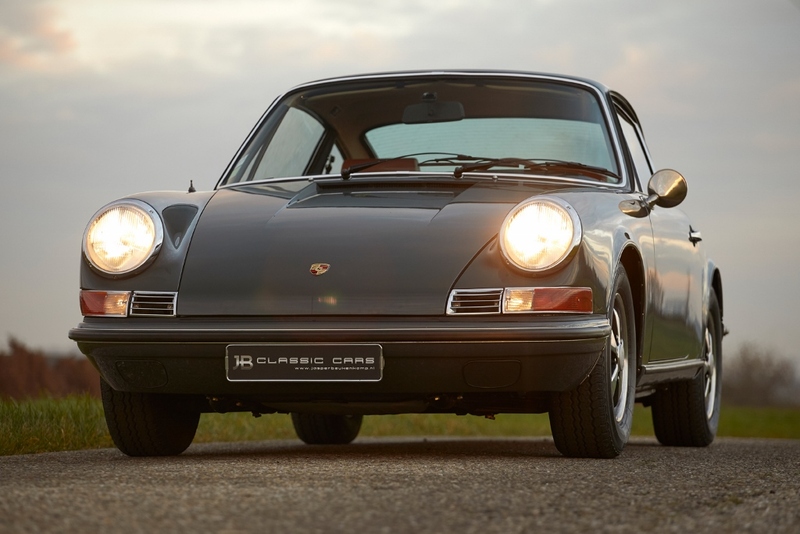 With ventilated disk brakes at front, just like the 911 S, these early 911s will make you feel much more confident in traffic than most of their contemporaries. 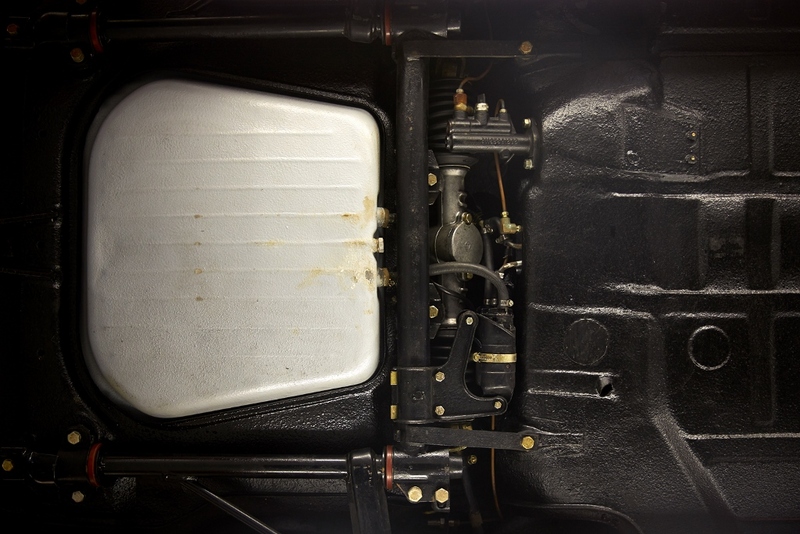 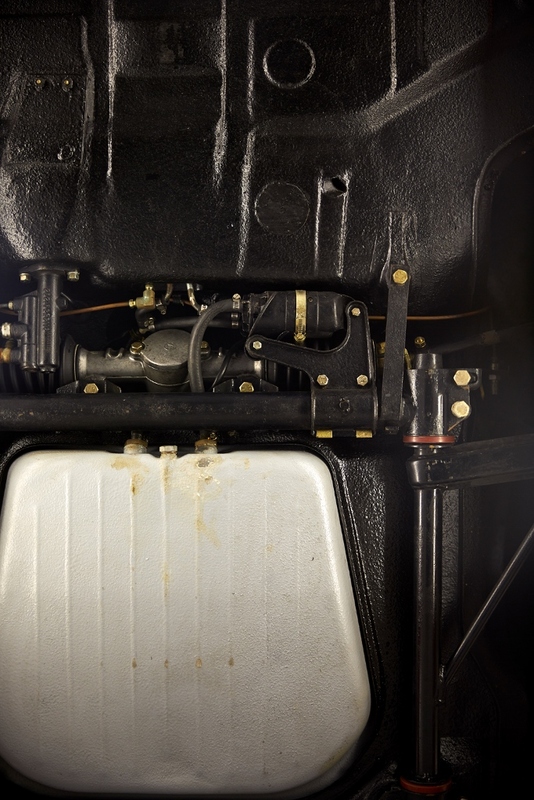 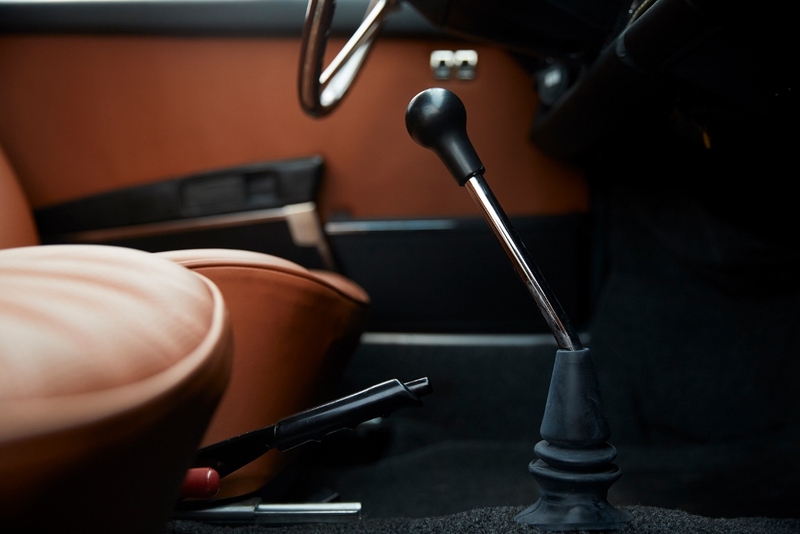 Extra character comes from the standing pedals that provide a mechanical feeling that modern cars lack. 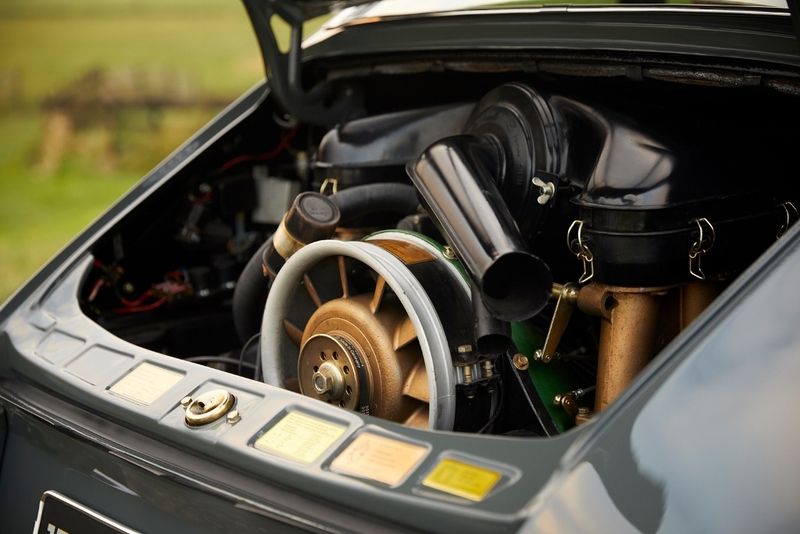 All the right noises from the engine and exhaust are never overdone. 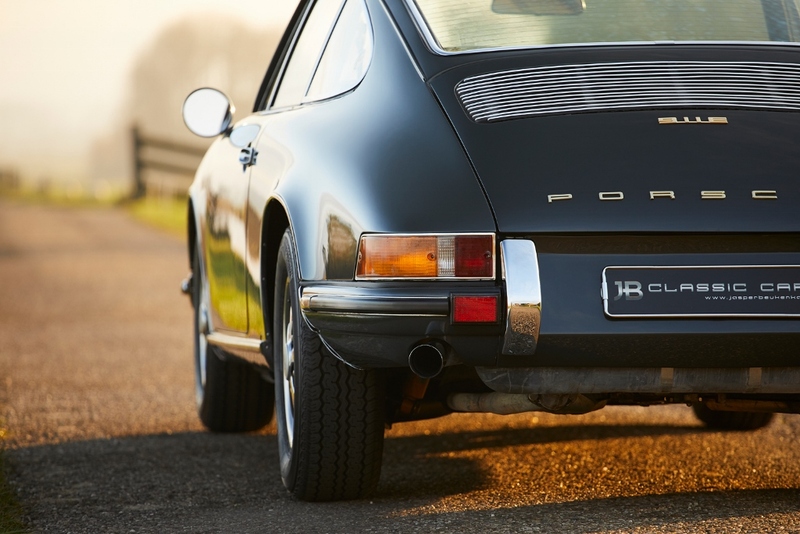 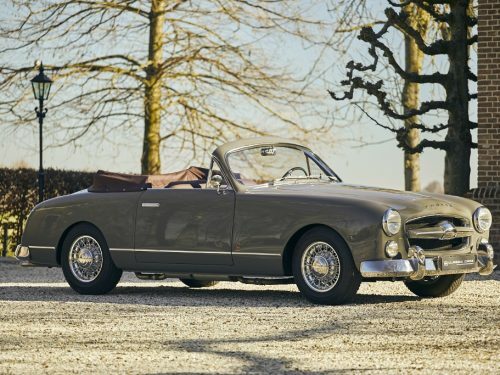 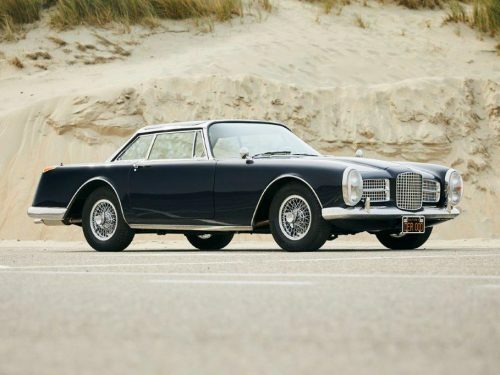 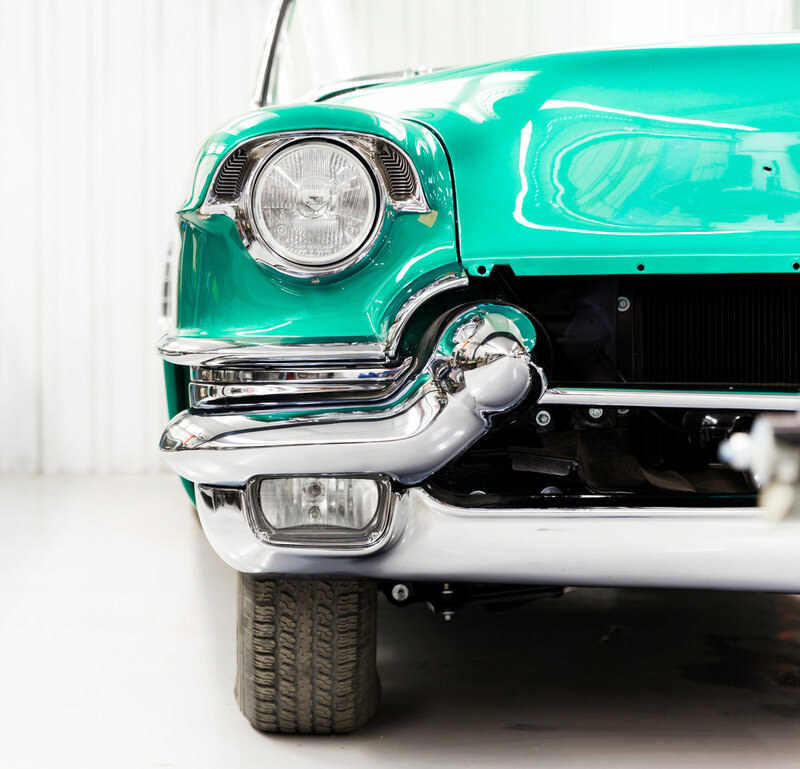 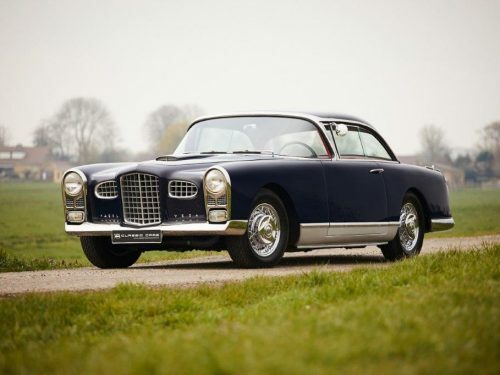 It’s the quintessential driving experience that only the best of the best classic sports cars can offer. 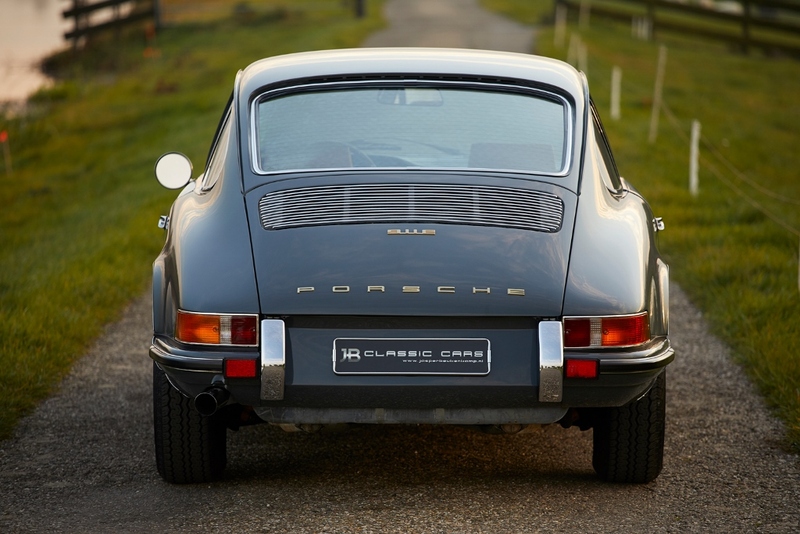 And that’s why early 911’s like the E and S models are still popular today. 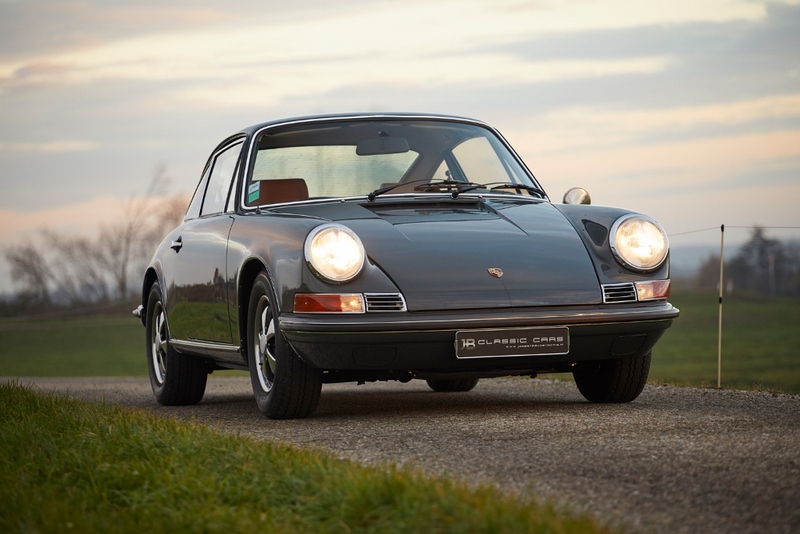 With just 3750 kilometres on the odo after restoration in 2013/14, and well serviced since, this Porsche is ready for a next owner who seeks an early 911 with great presence and matching numbers. 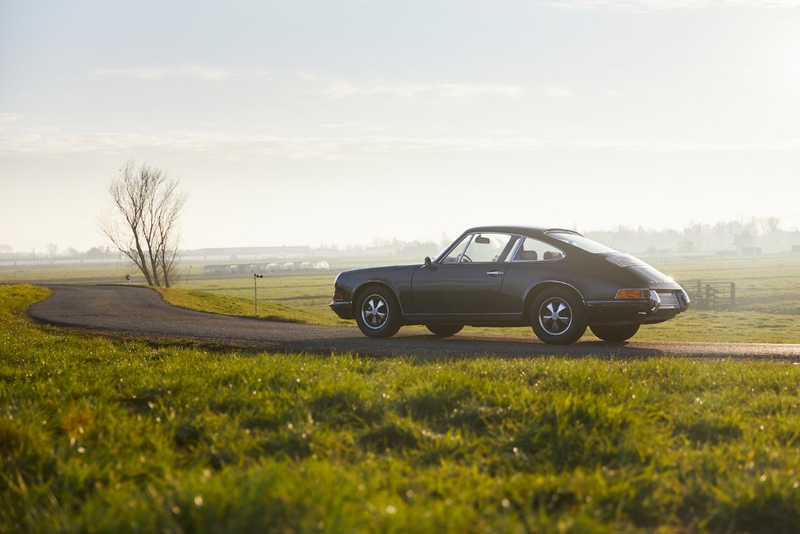 The current owner lives in Paris and treated this car well. 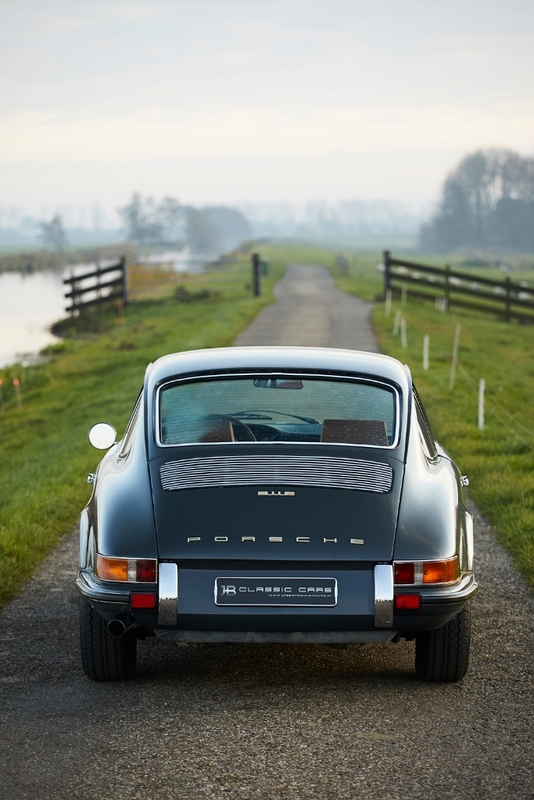 It drives perfect on all kind of occasions. 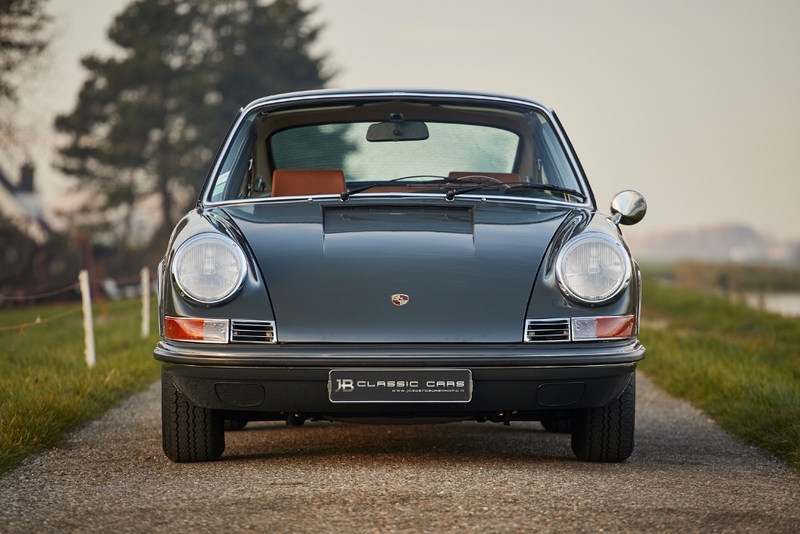 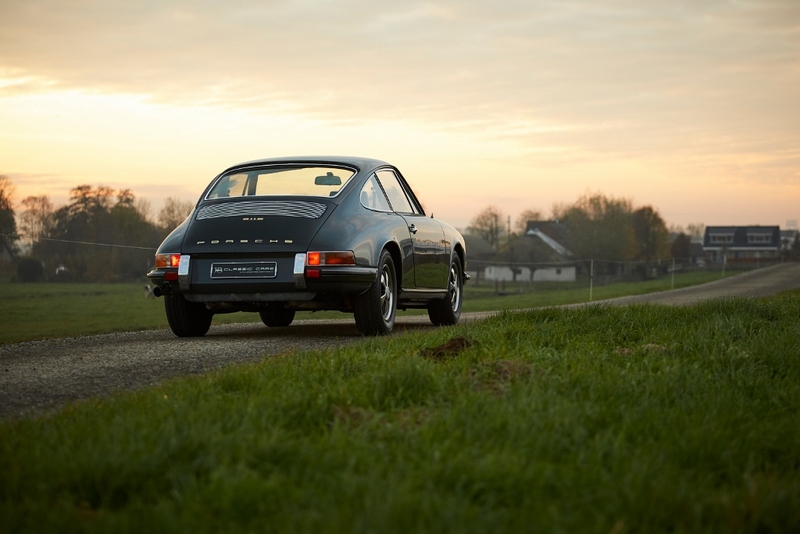 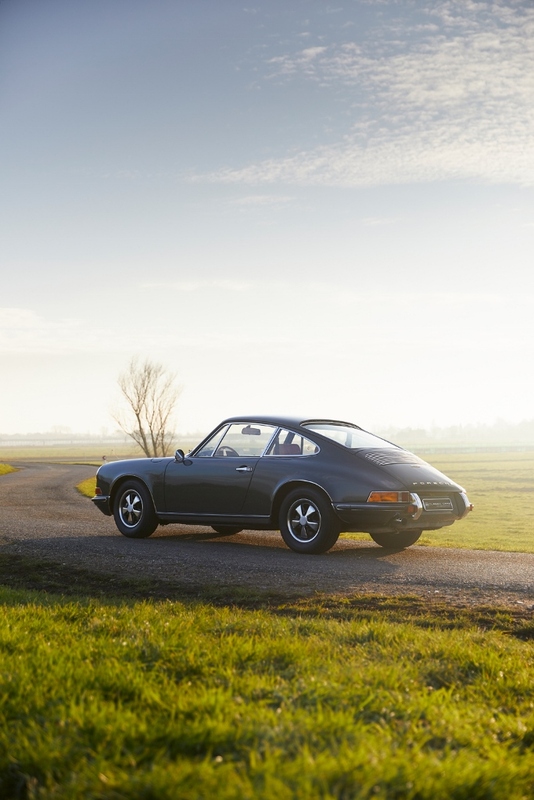 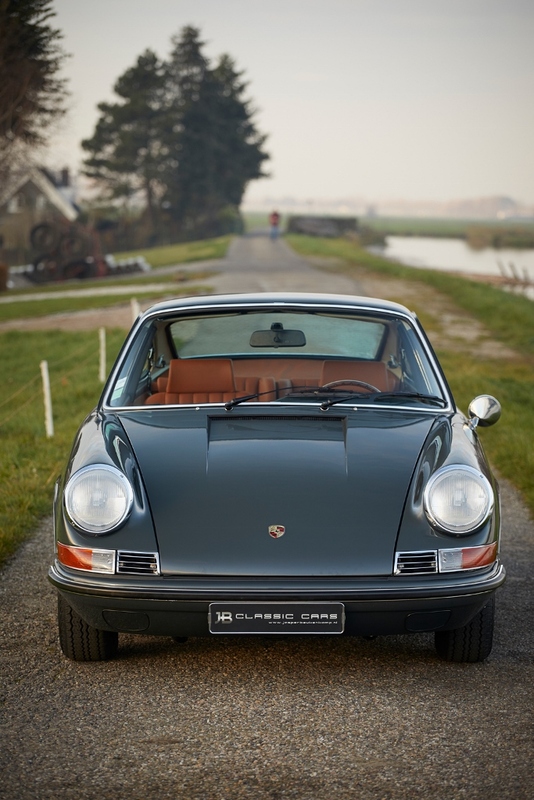 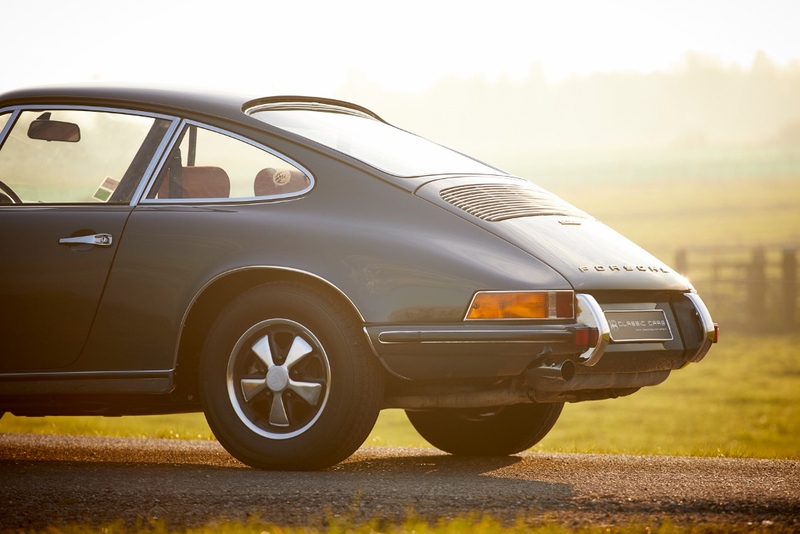 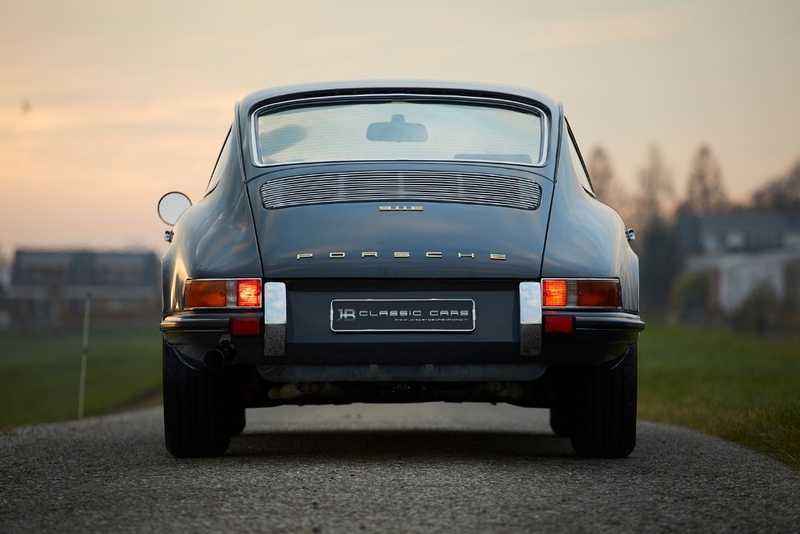 Please visit our JB Classic Cars showroom in Bodegraven (The Netherlands) to see the excellent condition of this 911 E.